A monthly feature showcasing Citta Design product in the homes of Citta Designers - not only do they design the product, they love to own the product too! 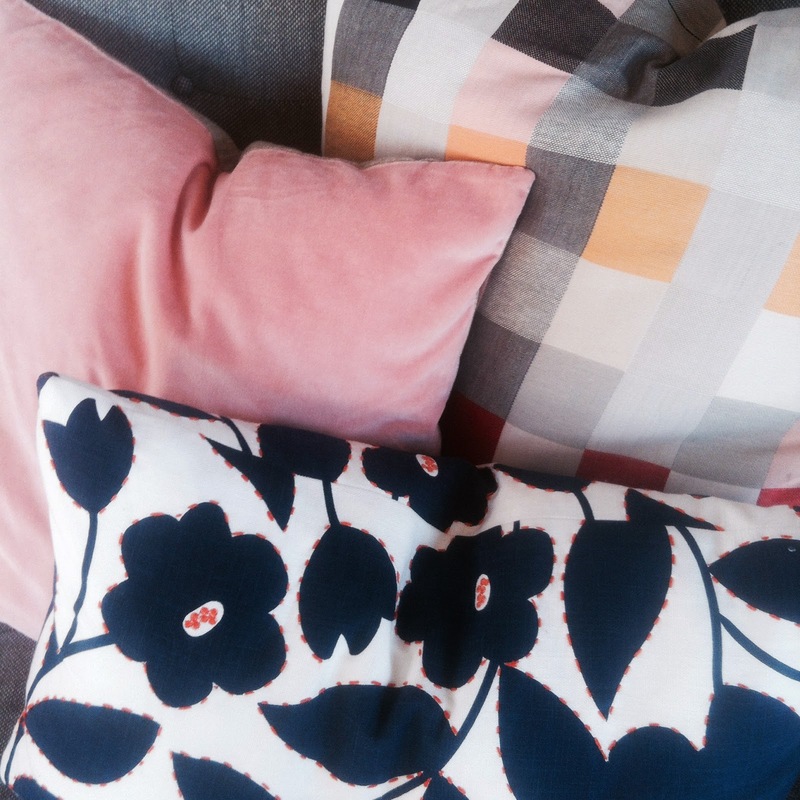 Like every season, I have been trying to hold back from buying too many new cushions. It's harder than you would think when you're constantly surrounded by so many lovely designs! I was delighted at how beautifully my new velvet cushion in Orchid pink fit in with designs from two completely different collections. From top to bottom: 'Junction' from the New York collection (Winter 2011), 'Orchid Velvet' from the current Copenhagen collection (Winter 2014) and 'Ebisu' from the Tokyo collection (Winter 2012).